This year at E3, Sega will be presenting at least four new games. The first two are the newest installments in the Sonic franchise, Sonic Boom: Rise of Lyric for Wii U and Sonic Boom: Shattered Crystal for 3DS. Both games will be playable on the show floor. 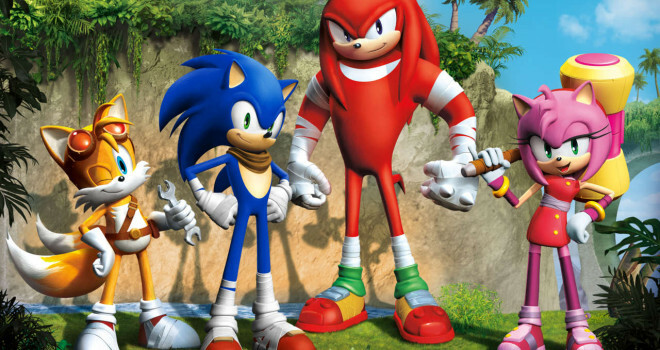 The Sonic Boom franchise takes place in an different universe from the main series and will feature characters both old and new. The next game will be the first person shooter title, Alien: Isolation. The game takes place during the 1970’s movie, Alien and is set to be released on October 7. Sega will also be showing the newest game in the Hatsune Miku: Project Diva series title, Hatsune Miku: Project Diva F 2nd. It will be releasing for Playstation Vita and Playstation 3. This rhythm game will include 20 songs from past games as well as some new tracks. Be sure to keep checking in with GaminRealm for all your E3 coverage.